Aries : Time to break away from the past, both professionally as well as in your personal life, and enjoy the choice and process of new beginnings. Those in love plan a holiday to an exotic location to catch up on togetherness. 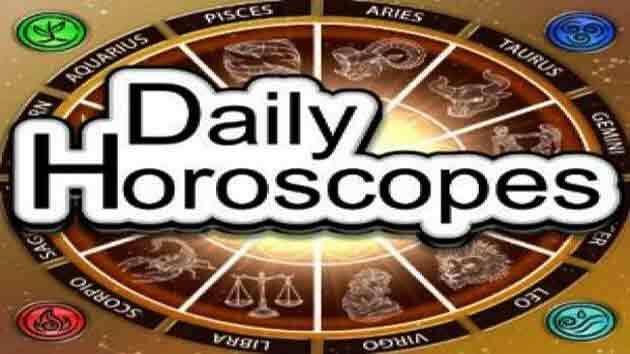 Taurus : Money inflow improves for most, and paying back loans and clearing liabilities is indicated. Relieved you move on to new promising, time consuming projects. Gemini : Fun and frolic is your day, make the most of relatives and friends around you, nurturing your every whim and fancy. Creative people receive new offers. Weighing pros and cons are advised. Cancer : Work is hectic and you delegate responsibilities, however you need to be personally present for certain meetings and clinching new deals. A happy event celebrated at home keeps you on your toes this evening. Leo : Property matters get resolved in your favor, and money that comes in is something you invest well. Domestic life improves and past sensitive issues are resolved diplomatically and peace reigns. Virgo : Work gets monotonous, and you desire excitement at this point. If employed, speak with your seniors and improve and work on job profile and communicate your dreams and go after them. Libra : Busy and yet troubled by an old health issue cropping up is something you have to deal with. A medical opinion is a wise choice. Finances for some are still tight and suggestions on saving will be bright. Scorpio : You shall have all of what you desire, as you possess the Midas touch today. Making the most of it may require aggressive action. Let complacency be an issue of the past and forge ahead with confidence. Sagittarius : Creative people make a mark, earn appreciation and are ready to take on a few risks today that are sure to work. You celebrate a happy event with your spouse hosting a grand party amidst loved ones and friends tonight. Capricorn : Life is a maze and you are right in the middle of it all, absorbing every experience and hoping to learn from it. You move towards your goals with no definite plan, allowing your gut to guide you. Aquarius : Creatively inclined people sign up for new contracts and are geared up to show their talents with full of confidence and conviction. Money inflow increases and you splurge on desired luxuries, maybe a new house. Pisces : You wake up to the fact that you can only depend on yourself to make through the tough transitions that you are going through as you take the reigns back from manipulative people and situations.